We will start our program with a private visit of the Vatican Museums. The Museums are one of the world's greatest art collections. These were founded by Pope Julius II in the early 16th century. Its highlights include the spectacular collection of classical statuary in the Museo Pio-Clementino, a suite of rooms frescoed by Raphael, and the Michelangelo-painted Sistine Chapel. Dress code: Smart casual (low cut or sleeveless clothing, shorts, miniskirts and hats are not allowed in the Museums). Our opening reception and dinner will be celebrated at Villa Giulia. Founded in the 16th century by Pope Julius III, the Villa is a splendid example of a Renaissance villa. It boasts beautiful garden terraces with foundations and sculptures. In addition, it hosts the representative museum of the Etruscan civilization. While enjoying a delicious dinner, we will open our reunion with welcome remarks by one of our Keynote Speakers. We will start our Friday with a tour of the most important sights in Rome. We will visit the Campidoglio (City Hall) which is located in one of Rome's most beautiful squares designed by Michelangelo in 1538. After this, we will head to the Fori Imperiali (Imperial Fora), a series of public squares constructed in Rome over a period of 150 years. We will end our visit with the most unique experience in the Eternal City: a private tour of the Colosseum. The chance to visit the Colosseum privately is a very rare one and is unquestionably a great honor which has been given to other Harvard alumni like President Obama. We will head to lunch to the exclusive Villa Magistrale dei Cavalieri di Malta all'Aventino. The Villa has been in the possession of the Order of Malta since the 14th century and is one of its two institutional seats. It has been host to some of the most significant events in the Order’s institutional life. It boasts an artistic treasure: its church, Santa Maria in Aventino, is the only architectural example by the famed artist and engraver Giovanni Battista Piranesi. Our opening remarks will be given by a remarkable Keynote Speaker who will talk about a current topic. Optional Programs: Palazzo Orsini, MAXXI, Baths of Diocletian, or Catacombs of San Callisto. We have four optional programs to choose from: (a) a visit to Palazzo Orsini (Chiomenti original headquarters) with a seminar on Art Law; (b) a visit to the MAXXI, the National Museum of 21st Century Arts; (c) a visit to the Baths of Diocletian: the largest bath complex of ancient Rome commissioned by the Emperor Diocletian in 298 AD; or (d) a tour of the Catacombs of San Callisto which are among the most important of Rome where tens of martyrs, 16 popes and many Christians were buried. Our cocktail reception and dinner will be held at one of the most stunning locations in Rome: the Palazzo Doria Pamphilj. During dinner, we will bestow the Harvard Law School Association of Europe Award to an outstanding European alum. In addition, we will have the honor to be addressed with remarks from one of our most eminent alumni. The apartments of the Palazzo Doria Pamphilj have been the home to princes and princesses since the second half of the 17th century, when Camillo Pamphilj had the ancient palazzo extended with magnificent rooms that follow one after another. All rooms are richly decorated with beautiful fabrics, frescoed ceilings from the 18th century and works of art. Musical entertainment will be provided. 10:30 p.m. - 12:30 a.m.
After an amazing dinner, for the indefatigable alumni who don't want the night to end, we will head to club "The Sanctuary" to continue to party and engage with other alumni. Circumstances permitting, we will have the honor of meeting with the President of the Republic of Italy, just before a visit of the Quirinale and with the President of Corte Costituzionale (the Italian Supreme Court). We will continue our day with a visit of Villa Borghese. 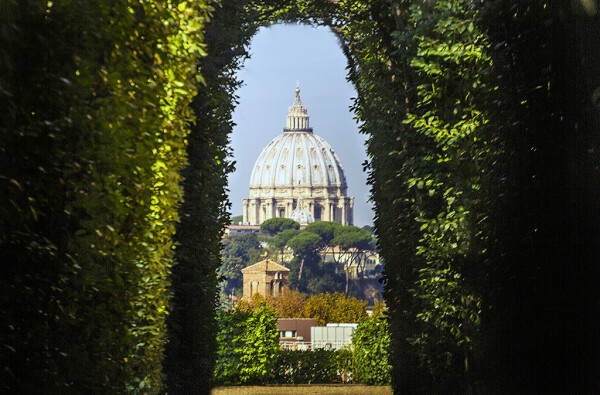 This is one of Rome's largest green open areas. The Villa was built by architect Flaminio Ponzio and contains beautiful works of art, including the most stunning sculptures by Gian Lorenzo Bernini. Palazzo Colonna will host the most important events of this memorable Annual Reunion in Rome. There are no words to describe Palazzo Colonna. The Palace is one of the finest works of architecture in the Rome and the world, a unique combination of history, art and spirituality, featuring masterpiece creations of the greatest Italian artists. The enormous, marvelous halls, with lavish interiors and decorations, for long time the home of Popes and enlightened Roman aristocracy, has often welcomed the symposiums of exceptional minds. Palazzo Colonna will offer the perfect environment for the peerless guest speakers of the HLSAE as well as for our compelling panels. This is the first time in our reunion history, that we are organizing a large scale academic event with four panels and over 20 speakers. We have already several outstanding panelists confirmed traveling from within Europe and the rest of the world to join us. We will provide their names by the end of March. Our traditional Gala Dinner will be held at Palazzo Taverna. During dinner, we will have the honor and privilege to be addressed by Dean John F. Manning, Morgan and Helen Chu Dean and Professor of Law. In addition, we will bestow the Harvard Law School Association Award to a Harvard alumnus. The Palazzo is located in via di Monte Giordano in the heart of Rome. It was built in the XV Century on the ruins of the fortress of Giordano Orsini. Since then, the building has been the residence of ambassadors and cardinals. At the Palazzo, we will be able to admire an elegant fountain by A Casoni and collections of paintings by Sebastiano Ricci and Rosa da Tivoli. After enjoying a delicious dinner, we will dance all night! Dress code: Black tie and long dress (optional) or suit and cocktail dress. Our 2018 reunion will conclude with a brunch at the terrazza of the Fondazione Civica with a spectacular view of Rome. The farewell speech will be given by one of our eminent senior alum.